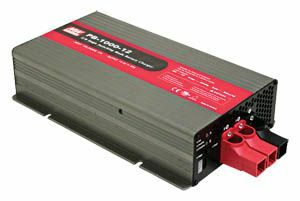 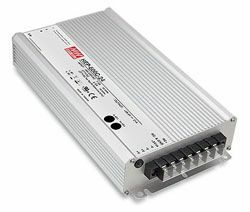 An intelligent 1000W AC/DC battery charger for lead acid batteries with selectable 2 stage/8 stage charging characteristics. 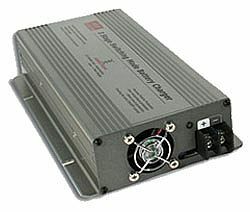 Up top 2 battery banks can be connected to PB-1000 at the same time. 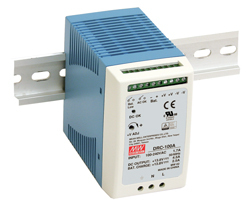 Features include built-in temperature compensation circuit, PFC function, remote ON/OFF control, fan ON/OFF control, reverse polarity, short circuit, over-voltage, and over temperature protections.